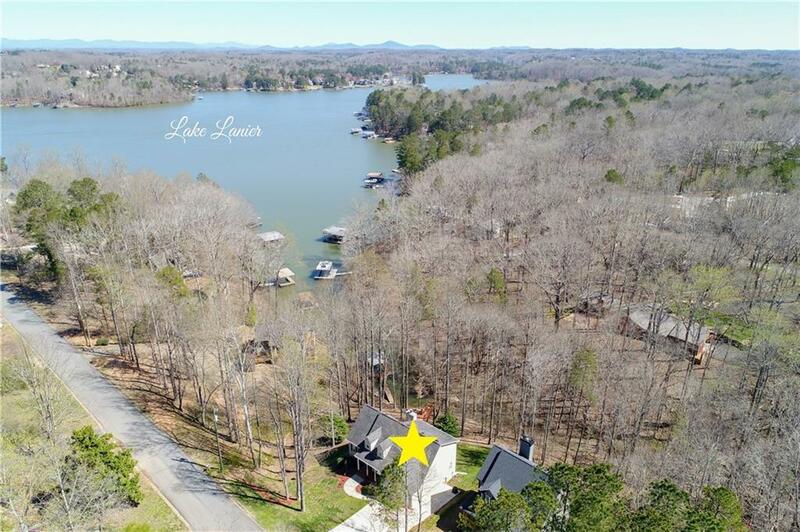 Cozy lake home w/stunning views of Lake Lanier and a single slip covered dock that is seconds from deep water. 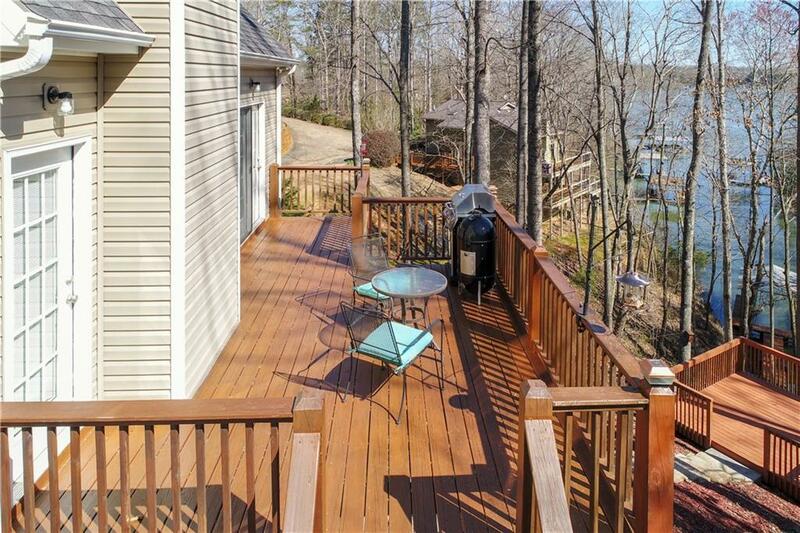 Situated in a private cove w/ stream, it's like having your own park in the back yard. Perfect for full time lake living or weekender. 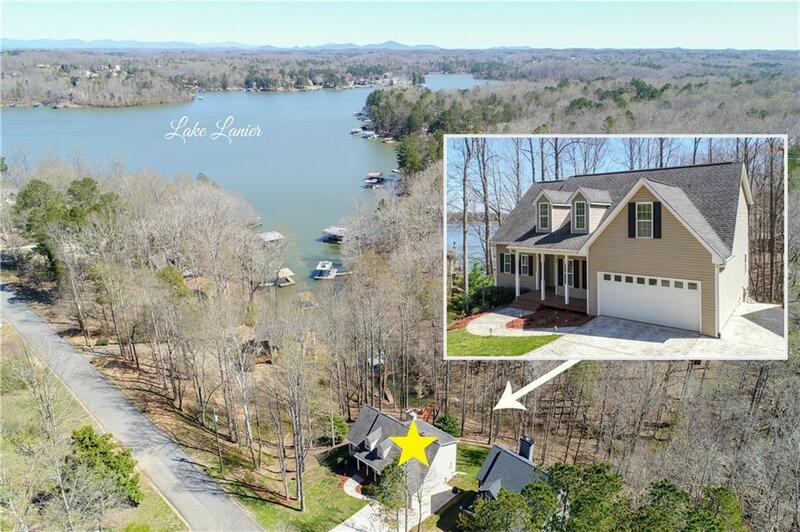 4BR, 2.5 bath home- the main level features master w/updated bath & lake views, SS appliances in kitchen w/bar seating & laundry. Upstairs are 3 BR's & bath. Full unfinished basement to expand & 2 car garage. Very well maintained home. 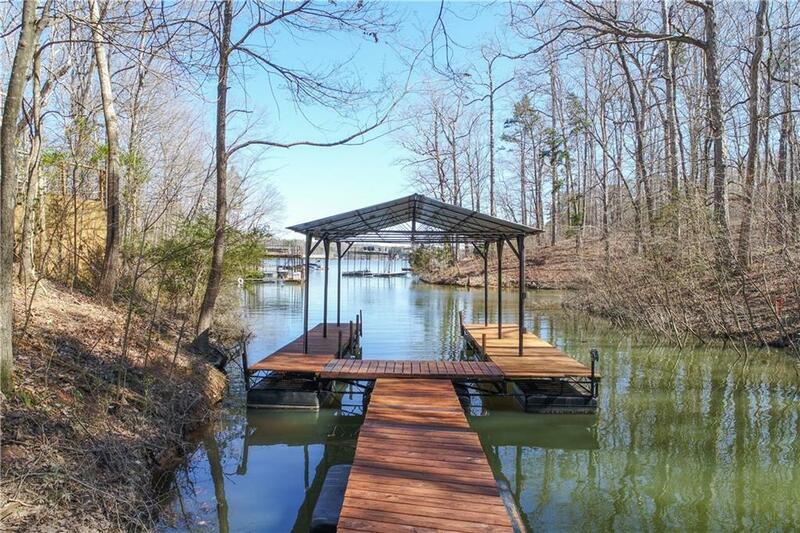 Enjoy lake life from the decks or your own private dock! Easy access to GA 400 & shopping.